The All India Bar Examination has made the XIII 2019 result available to download from their official website. Candidates who qualified from the exam will get a “Certificate of Practice” from the Bar Council of India. The All India Bar Examination assesses the skills of the candidates who took the exam at a basic level, it is also used for the admissions for those who want to practice law, the exam allows the board to see the candidate’s analytical abilities and their understanding of the basic knowledge about the Indian law. 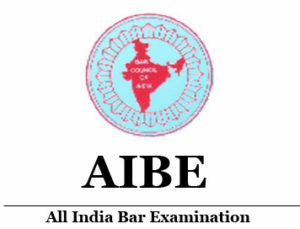 The AIBE XIII Exam 2019 was held in 40 cities across India. The main goal of the AIBE is to see the capabilities of an advocate to practice the Indian Law. The AIBE XIII exam took place on 23 December 2018, the answer keys for the exam was released just a week after.